A good movie doesn’t just divert our attention, it also builds a sense of community. That’s why an anonymous private donor is helping YWCA Toronto launch a weekly movie night for residents and tenants at YWCA Toronto’s 1st Stop Woodlawn. The event series, which YWCA Toronto has dubbed the Woodlawn Film Festival, launches on April 29th with a homegrown film to commemorate the first-ever National Canadian Film Day. 1st Stop Woodlawn provides emergency shelter and permanent housing for women struggling with poverty and homelessness. A cohesive sense of community is especially important for women whose lives are in transition, and weekly social gatherings provide both the stability and opportunities for personal connection that can help women rebuild their lives. 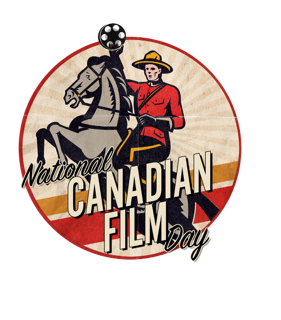 At Tuesday’s launch, YWCA Toronto will celebrate Canadian film by screening Cas & Dylan, Canadian actor Jason Priestley’s feature directorial debut produced by Montefiore Films. The indie road trip comedy stars Hollywood veteran Richard Dreyfuss and Orphan Black star Tatiana Maslany, whose performance as a woman escaping abuse in Cas & Dylan won her a Philip Borsos Award at the 2013 Whistler Film Festival. Cas & Dylan producer, Mark Montefiore, will introduce the film. Neal Brothers Foods has offered to sponsor refreshments for the screening. YWCA Toronto offers emergency shelter and permanent housing for women and women-led families at several locations. Visit our website to learn more.